All this talk about love got us wondering what recipes you, our fantastic fans, love most. Which ones keep your taste buds craving more? Which ones give you that warm, tingly feeling? So we scoured our website to see what recipes you loved to visit over and over again. We looked on our Pinterest page to see what recipes you loved re-pinning. We dug into our Facebook page to see what recipes you loved sharing with friends and family. The result is this list of much-loved recipes. Some might be familiar favorites. Others might be brand new. Either way, you’ll have a list of tried and true recipes you can pull out when you’ve got lunch on the brain, when dinnertime rolls around or when a party invite comes your way. 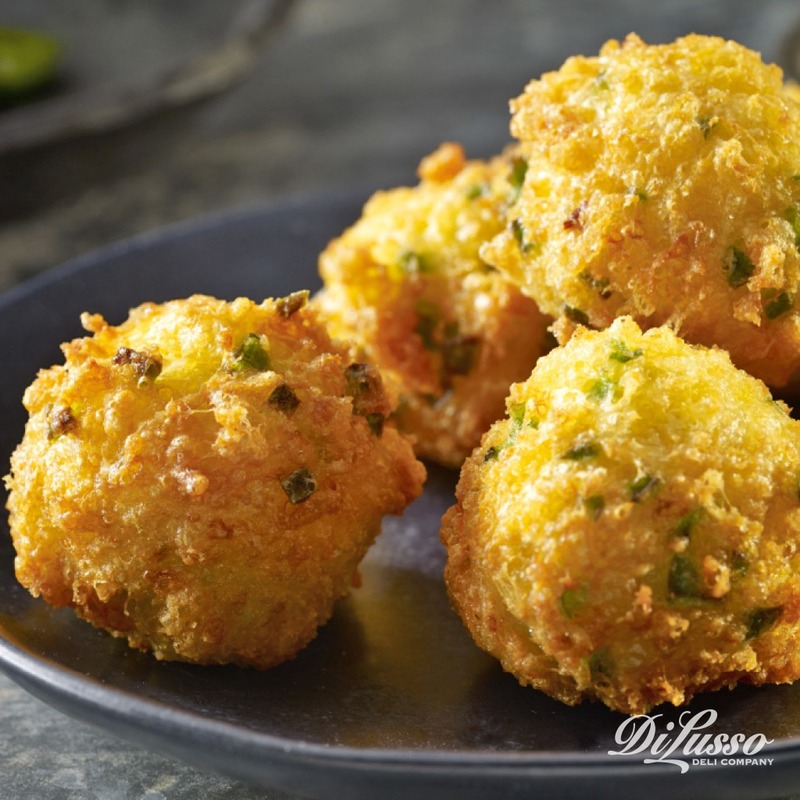 Turns out, nothing quite compares to your adoration for fried cheese balls. Especially when they’re filled with three kinds of cheese – Parmesan plus our cheddar and mozzarella - and fresh jalapeño peppers. They’re particularly lovely when served alongside mulled wine and other sweet beverages. A sweet chili dipping sauce will also do the trick. We’re particularly fond of making them for football gatherings. It’s easy to see why this one was a favorite. 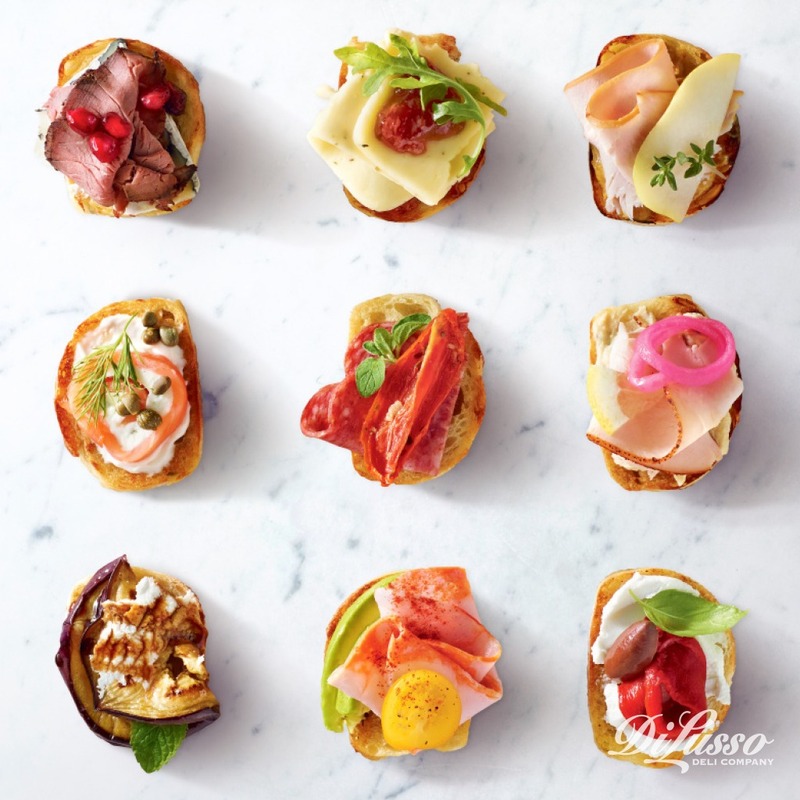 Influenced by international cuisine (French, Danish and Tuscan, just to name a few), no two bites taste the same. 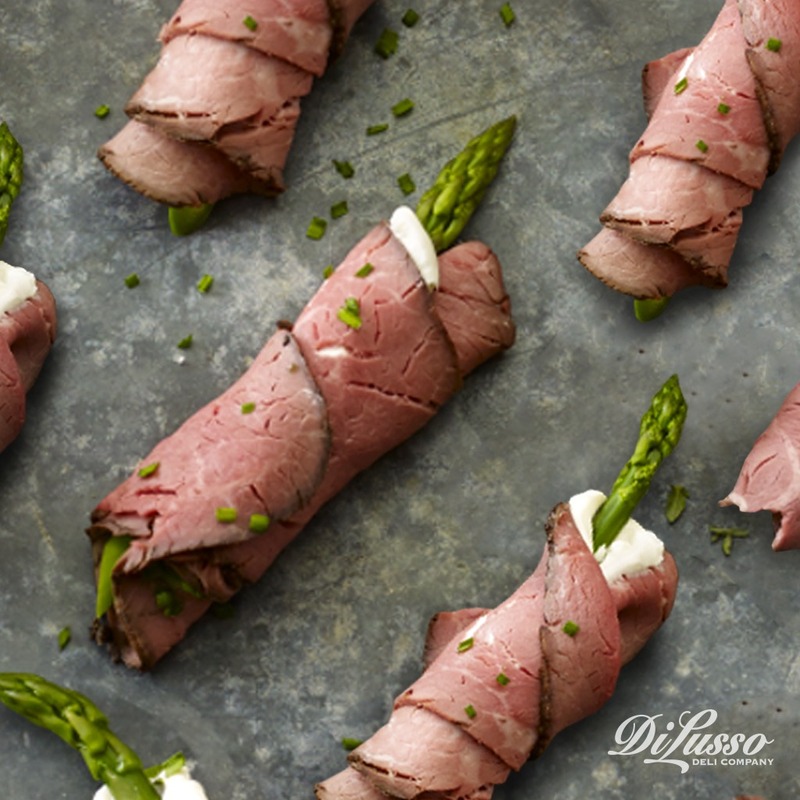 Their elegant look and varied flavors make them great appetizers for entertaining. Or even an indulgent snack when it’s just you, a glass of wine and your favorite movie or TV show. Mixing and matching is highly encouraged. When it comes to sharing, the ring is king. 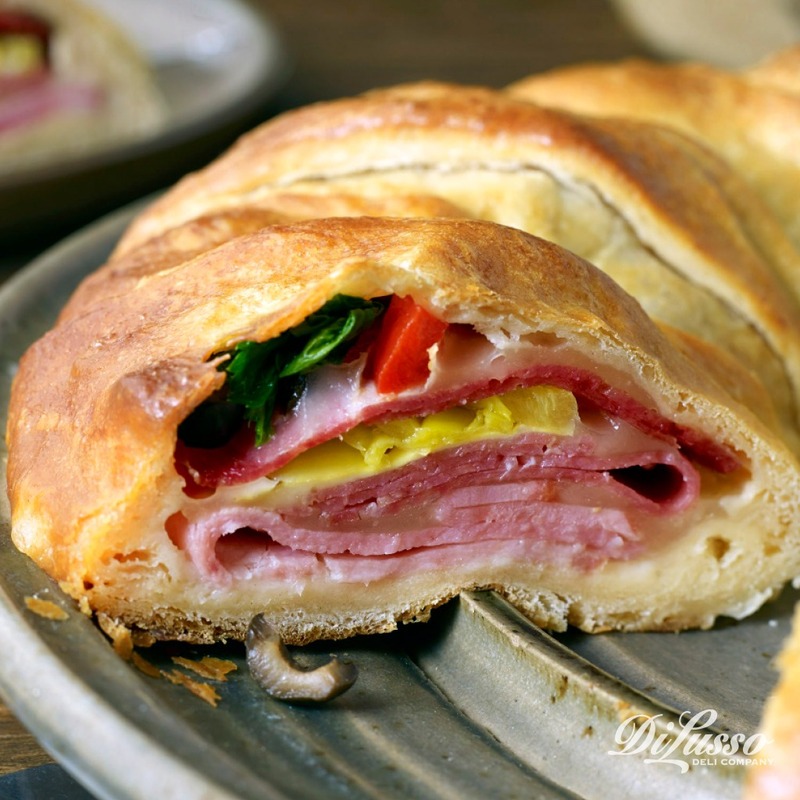 Probably because it’s so simple to make (even though it can look difficult) and layered with a variety of complimentary ingredients like giardiniera, roasted red pepper strips and our hard salami. You loved reading about this one in our Tailgating Tastemaker blog that outlines how to create the perfect make-ahead menu. No forks or spoons required. Just food in one hand and a beverage in the other! Everything is better on a stick, right? The same goes for salads. 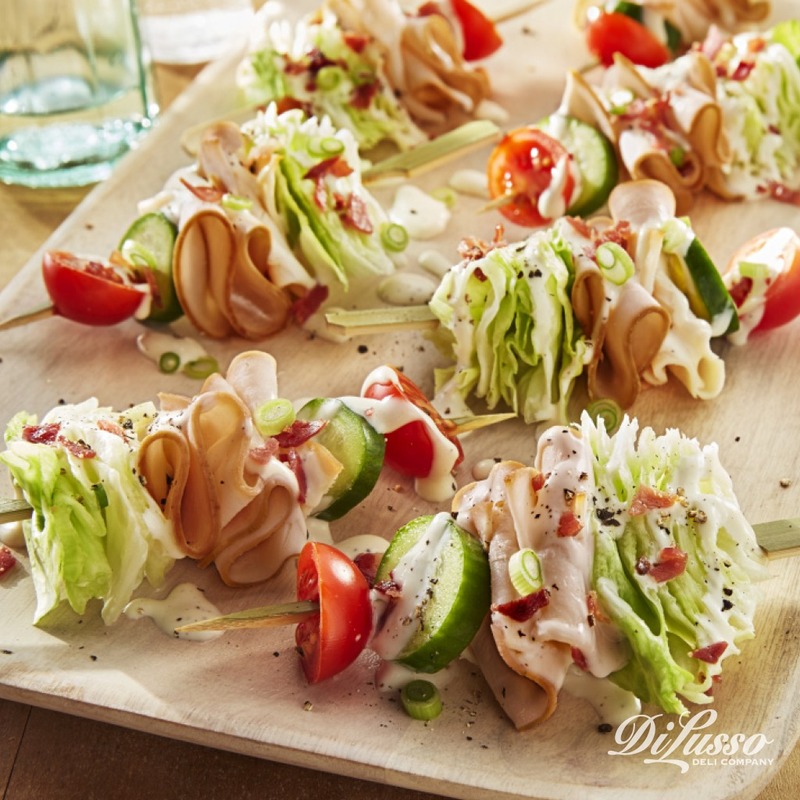 We transformed the typical wedge salad into finger food and you couldn’t get enough of it. The rest is history. You might say it was love at first sight (and probably bite) for Judy from Minneapolis who, after laying eyes upon this recipe, exclaimed: “Now I know what I’m bringing to the next potluck!” We like the way you think, Judy! You fell in love with the allure of this handsome pair: beer and cheese. And we can see why. On a brisk autumn day or a chilly winter evening, there’s just something irresistible about enjoying a warm bowl of cheesy soup near a cozy fire. 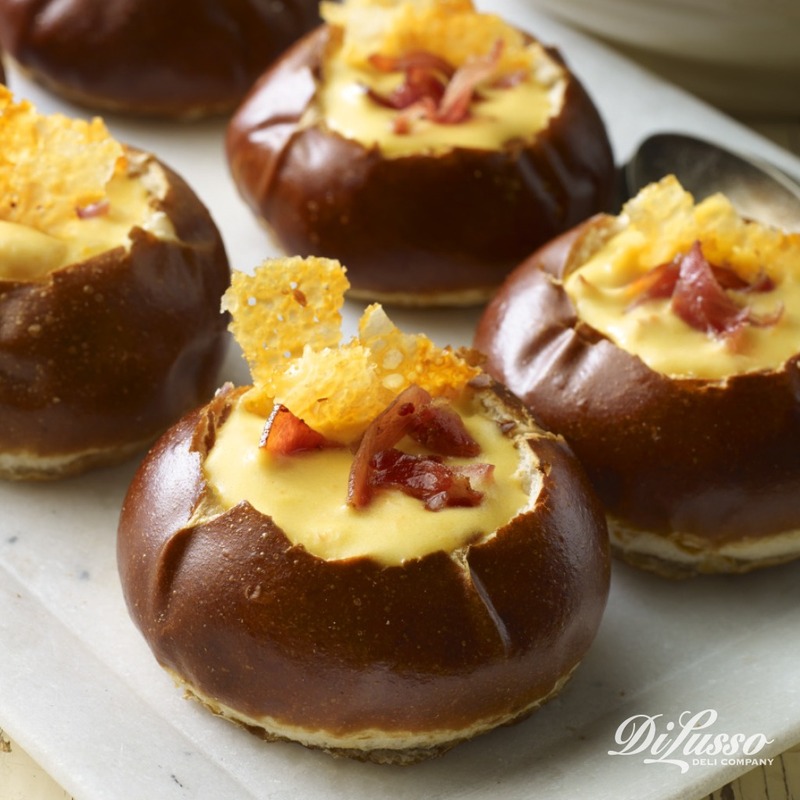 That prospect sounds even more alluring when said soup is simmered with our smoked gouda and topped with baked cheese thins and prosciutto crisps. 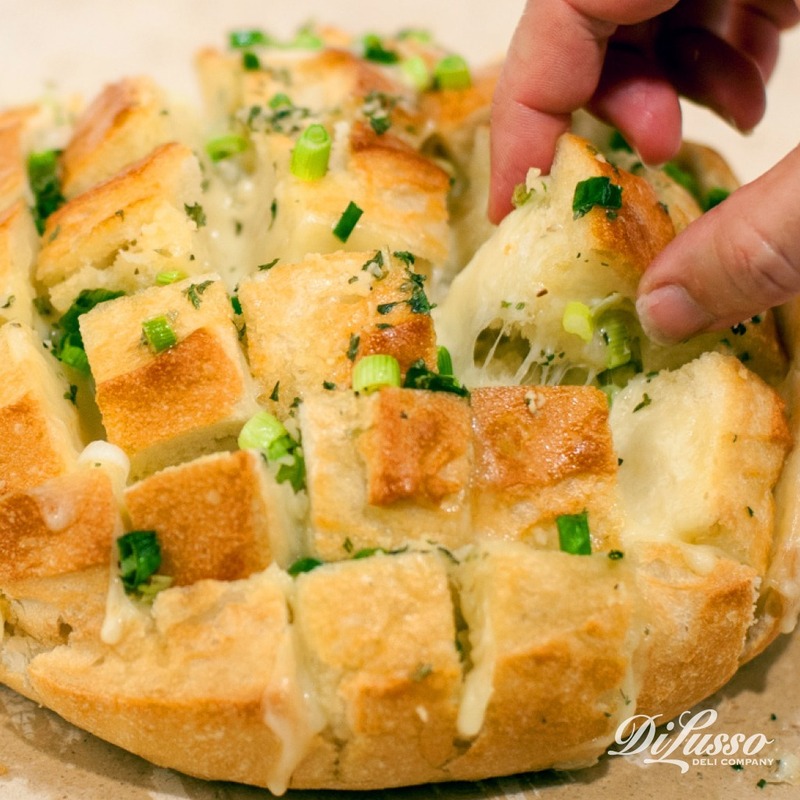 We’re starting to see a trend here…warm and cheesy seem to be the perfect partners. Make it a finger food and it’s the kind of love that keeps you coming back for another bite. In fact, Tammy and her family in Missouri can’t quite seem to get enough of this recipe: “I’ve made this many times and we love it!” We love having you as a fan, Tammy! 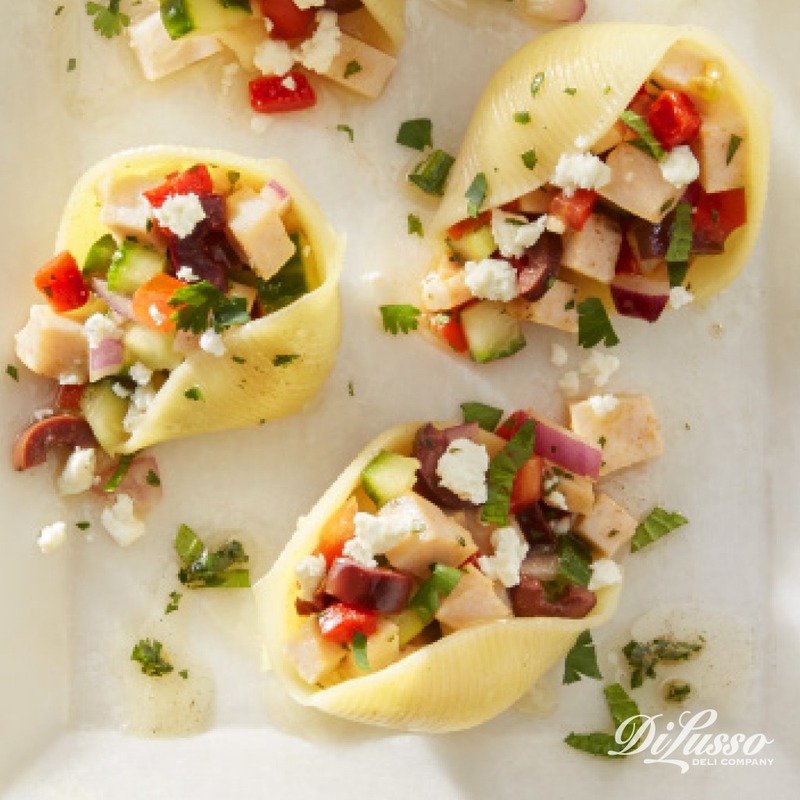 We put a twist on the classic pasta salad by stuffing jumbo shells with fresh ingredients until they were literally overflowing - cucumbers, feta cheese, roasted red pepper strips, pitted kalamata olives and smoked applewood chicken. Plus some parsley, cilantro and mint. And to top it all off, a sweet and savory lemon dressing. What’s not to love? This is one to keep in mind when you’re dining al fresco this spring and summer. As outdoor temps began to rise, so did your affection for these cool and refreshing bites. Probably because there’s absolutely no cooking or baking required, making them perfect for those days when it feels too hot to cook. They’re also great for those days when you sneak in some exercise. 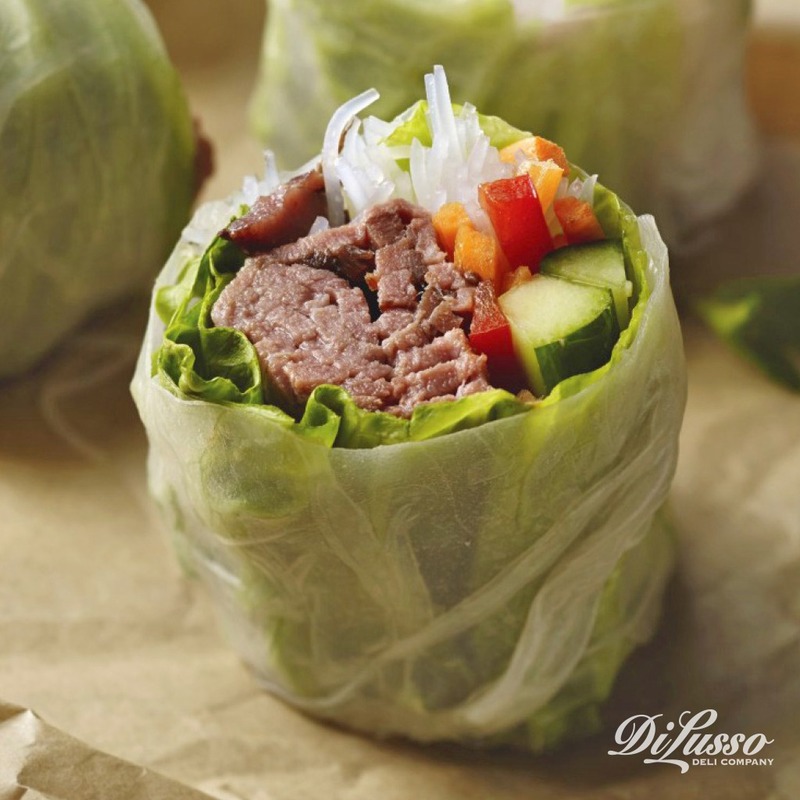 Wrapped with lots of fresh vegetables (lettuce, carrots, cucumbers and red peppers) and powerful proteins our oven roasted chicken breast and seasoned roast beef), these little bites make great post-workout snacks. “This is one of my favorites! !” said Susan from Missouri. For many reasons, it’s certainly one of our favorites too. Elegant yet deceptively easy to make, these roll-ups are a host/hostess’ dream. Fifteen minutes and 5 ingredients is all it takes to put a tray full of these together. A great last minute party app if we ever saw one. “Yummy! Looks so good and so simple to make. I like simple,” said Phyllis from Kansas. We couldn’t agree more with Phyllis. It takes just 20 minutes to make and is full of bright vegetables mixed with tender strips of our London broil roast beef. 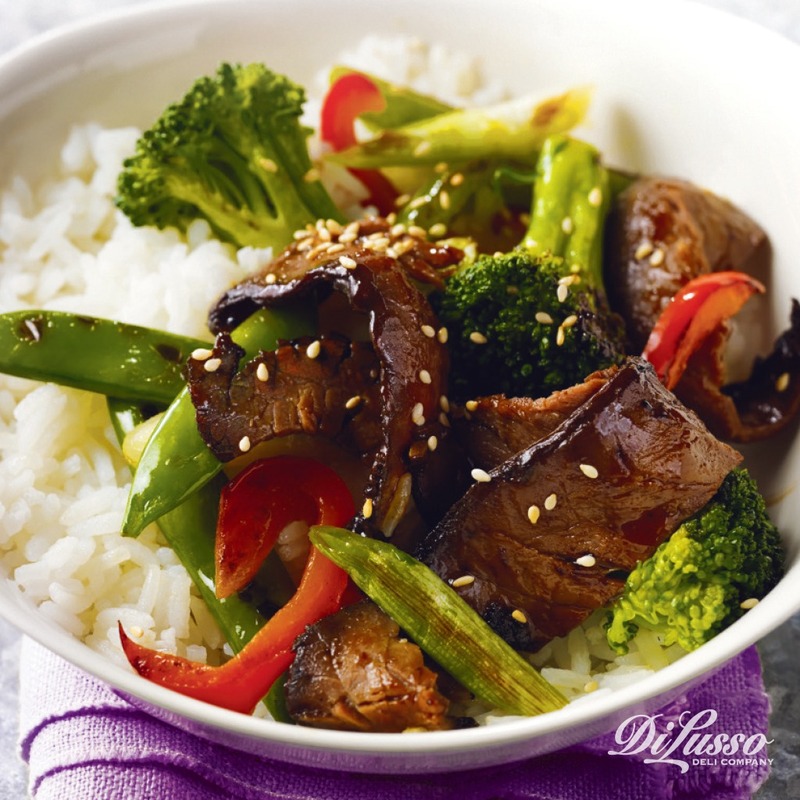 Sesame-ginger stir-fry sauce gives it a savory sweet finish. It’s a perfectly lovely way to add some delicious to your weeknight routine.